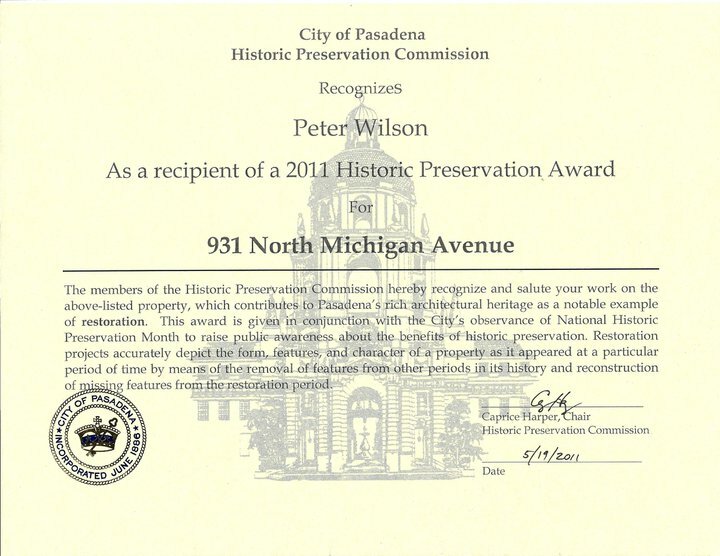 Peter Wilson Painting and Decorating has been serving residents and businesses in the greater San Gabriel Valley area with outstanding quality painting, color consulting, and restoration of residences and commercial properties for over 25 years. Peter Wilson began his career as an artist, originally in film and animation production, and later as a sign painter and graphic designer. Specializing in homes and properties requiring an eye for detail and careful attention to heritage, his restoration and painting contracting work is a natural outgrowth of a passion for Southern California’s rich and diverse architectural legacy. The distinctive Peter Wilson Painting philosophy of quality, value and care begins with thorough preparation, the foundation of a superior paint job. Complete removal of all loose material and washing down the exterior is critically important, to prepare the surface for the correct priming system, ensure proper adhesion, and create the basis for a long lasting finish. Additional important details are previous finishes, architectural details, stucco and wood repair and restoration, ironwork and attention to the neighborhood’s integrity, through consideration of landscaping, colors and design of neighboring homes. Other areas of expertise include paint and varnish removal, stain mixing and matching, wood refinishing and cabinet finishing (including lacquer, varnish, polyurethane and alkyd-oil fine brush finishes), murals and graphics, custom glazes and color washes, copper and bronze verde finishes, Venetian plaster, wood graining, color matching, and color scheme design and layout. Please call 626•841•0380 and ask Peter to see his residential projects, in Craftsman, Tudor, Victorian, Contemporary, or Mediterranean Revival styles like those profiled here, as well as for references from homeowners and property managers. The Gamble House, Pasadena [CA Landmark #871] – Exterior beam epoxy restoration. The Craig Adobe – Restoration. National Register of Historic Places. September 2014 – October 2014 (2 months) 2121 Monte Vista Pasadena‎ CA‎ 91104. Restore and repaint interior and exterior paint finishes. 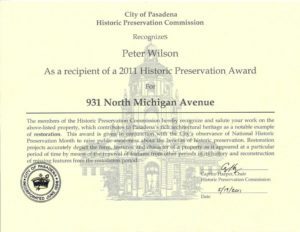 Pasadena Museum of History – Restoration. Starting January 2012. Fenyes Mansion interior and exterior painting and wood refinishing. – Restoration of Greene and Greene Landmark Portals, Oaklawn & Columbia, South Pasadena, including epoxy replication, color matching, and antiquing. – Fish Building, 38/42/100 E. Colorado, Old Town Music, The Holly Building. – Colorscheme Design and Painting of over 50 homes in Bungalow Heaven, Pasadena.